PITTSBURGH & CHICAGO--(BUSINESS WIRE)--All around the country, kids are getting busted for running their lemonade stands. Crazy, right? Why would anyone stop kids who are trying to build strong work habits, have fun and become young entrepreneurs? The reality is, they are being shut down because of old, arcane and very real permit laws. Look it up – it REALLY happens. But this summer will be different. 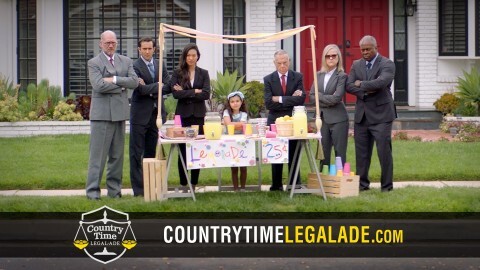 The Country Time brand is taking a stand by introducing Legal-Ade: a crack team ready to straighten out lemonade stand-related permits and fines. Legal-Ade will defend kids’ right to a lemonade stand and all the benefits they bestow. Any child fined for running a lemonade stand without a permit can have his or her parent apply for reimbursement. To apply, simply upload the image of your child's permit or fine along with a description of what your lemonade stand means to your child, in his or her own words. The submission will be reviewed by the Legal Ade team and if it complies with the terms, you will receive the exact amount to cover the permit or fine, up to $300.00*. 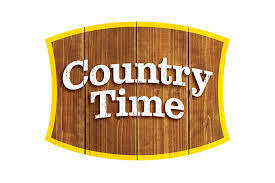 Visit www.countrytimelegalade.com for complete details. 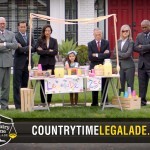 Additionally, Country Time is taking a stand for lemonade stands beyond just this year. For every RT the Country Time Legal-Ade video receives, Country Time will donate $1 (up to $500,000) to help kids next year and beyond. Go ahead, kids. Run your lemonade stands. Country Time Legal-Ade is on your side and will protect you. When life hands you outdated laws, make lemonade, and get Legal-Ade. 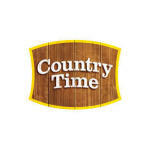 Join the conversation: @CountryTime on Instagram and Twitter. *Legal-Ade will reimburse up to a limit of $60,000 total.